In a role originally written for George Clooney, Sandra Bullock gives an outstanding performance as Jane Bodine, who was hired to go to Bolivia to help ex-president Castillo get re-elected after 15 years of being out of office. She is matched in a performance by Billy Bob Thornton as Pat Candy who has beaten her in the last 4 elections they have competed. Bullock, walking around in a fog with stringy blonde hair recovering from a breakdown, sober for three years, seeming not quite with it finally breaks out of her stupor when it becomes personal to her and she gets, in her words, ‘pissed off’. 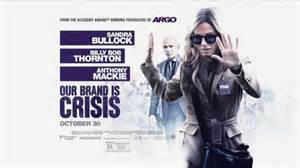 Not quite as funny as you would expect a political satire to be in this day and age “Our Brand Is Crisis” misses the pacing of last week’s “Jobs” and the fast talking script that Alan Sorkin could have given it. Also working against it is how the recent debates come across as satire already. There is nothing ‘wrong’ with this film but I just didn’t connect with it and even though impressed with Bullock’s performance I just didn’t buy the reasons for her flaws. 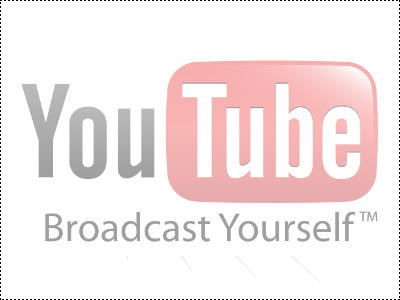 Joaquim de Almeida is presidential as the way behind contender and Anthony Mackie with Ann Dowd as political consultants along with Scott McNairy, Zoe Kazan, Dominic Flores, Luis Chavez and Damien Delgado offer strong support. Director David Gordon Green and screenwriter Peter Straughan fail the story, film and actors from being what it could have and should have been.